Even the strongest athlete would admit that yoga is challenging. Downward dog is low-key a hard position to be in—then when you add a strange location on top of it—like on horseback, for instance—things get intense. But clearly some yogis have to take it up a notch, every single time—which might explain the latest locale for bendy asanas: cliffs. Yes, really. Yogis in China are scaling major heights to do their vinyasa sequences, Elite Daily reports. Another woman took to a cliffside to do acro yoga on an actual boulder at the top of a mountain. And others are proving that they’re not afraid of heights, doing one-legged poses on the side of a mountain—way up in the air—which certainly proves their point. Whether you’re a novice or an expert flow-er, stopping to stretch it out the next time you’re on a hike sounds like a great feeling. As for doing it on the edge of a precipice, that seems like a seriously expert move. Best to leave that to the daredevils. 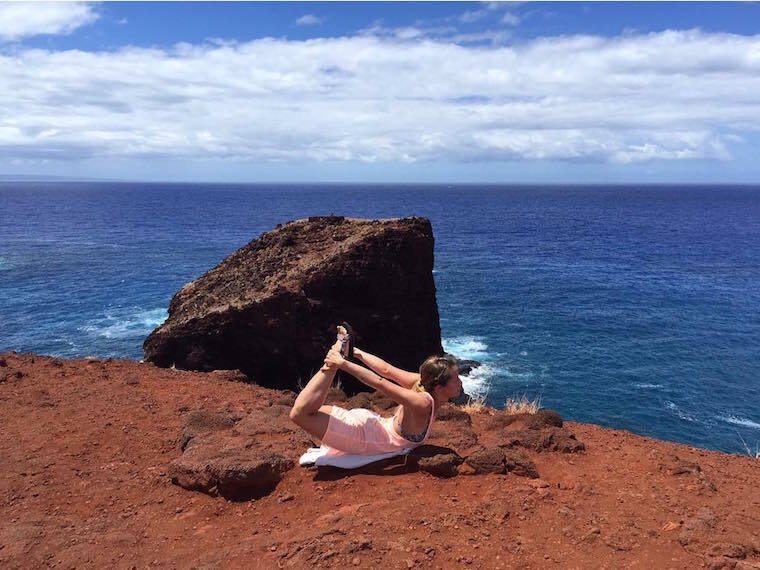 Luckily, social media lets you feel like you’re almost there—keep scrolling for some crazy cliffside yoga inspo. For other out-there ways to practice, here’s what you need to know about goat yoga. Or you can opt to do a magical Harry Potter flow.